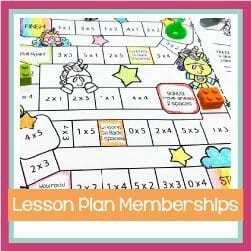 Add to your reading and listening centers for hours of interactive reading! Scan the QR code with your iPad, iPhone or other devices. A video will load through a safe site with no ads or ability for your students to navigate to other areas of the internet. 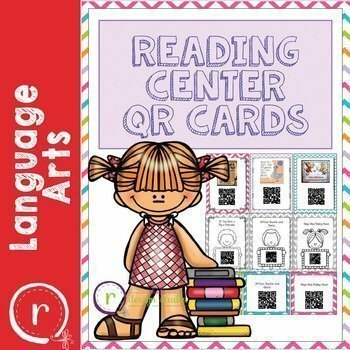 41 popular children’s storybooks on QR Code Cards. I have included printer friendly versions, cards to attach to books, or cards that you can add to a bulletin board or binder ring to display in your reading area. Use with your daily reading centers: Listen to Reading, Read with Someone, and Read to Someone (they can record their own readings after viewing samples). If they are inspired, you can always have your students “read to someone” and start a collection of your own library videos! Students can listen to reading while they follow along or watch the story. Each video is found on YouTube but has been filtered through an ad removal program called Safeshare (similar to QuietTube). Because these are live links, some of these codes might stop working. If you find one, please let me know via the Q and A tab or my email (rhodadesignstudio@gmail.com) and I will update the file. I try to check them regularly. My students are also using them in the classroom. I will be updating this resource as I add to my own classroom library. If you would like to suggest titles, I will do my best to see if there is a video or audio file available.